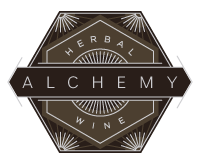 What is Alchemy Herbal Wine? Mead (A.K.A. Honey Wine) is most likely the oldest alcoholic beverage, and is referenced in many ancient texts throughout the world. Mead could easily be made in nature. Imagine… a bee hive that is built in a tree, a bear discovers it and excitedly reaches in to eat the brood, spreading the contents everywhere, then the rain comes and mixes with the honey and the natural yeasts in the air and ferments over a few weeks and voilà! Mead. 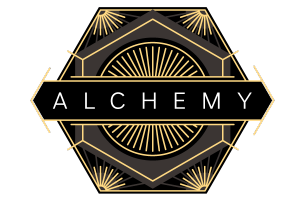 Alchemy is an herbal wine made from fermenting honey with a unique and intentional blend of herbs and spices. 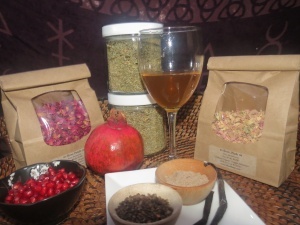 Our herbal wine is considered by some to be an herbal tonic; one that helps to restore, tone and invigorate systems in the body and promotes a general sense of well-being. 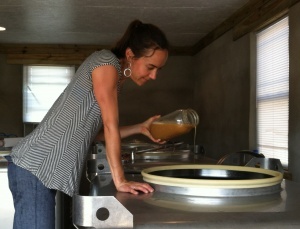 We are excited and committed to making high quality meads, utilizing local, seasonal, organic, wild-crafted, and natural honey, fruits, herbs, roots, and barks that offer our drinkers a healthy beverage with a buzz!